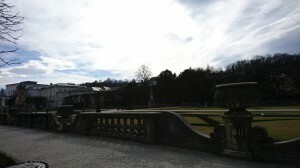 Yesterday at around 23h I arrived in Salzburg, Austria!! I’ve decided to move to Austria because it is such a wonderful place. My mother has visited me here today and we’ve spent an awesome day together here in Salzburg with wonderful weather before she left back home to Hamburg. Luckily, with the power of the internet, I could see that she arrived well back in Hamburg. Vielen lieben Dank für den Besuch, Mama! Ich hab dich super dolle lieb! This entry was posted on Thursday, February 23rd, 2017 at 8:56 pm	and is filed under Other Stuff. You can follow any responses to this entry through the RSS 2.0 feed. Both comments and pings are currently closed.